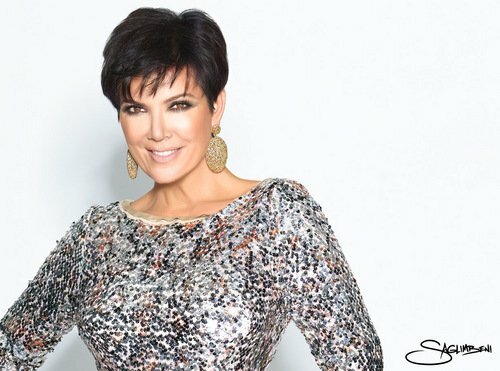 Kris Jenner gets Google alerts sent to her email when her children are mentioned online. Kris Jenner has Google alerts set up to her children. The 58-year-old matriarch admits she gets emails sent straight to her inbox when her kids, Kourtney, 34, Kim, 33, Khloé, 29, Rob, 26, Kendall,18, and Kylie,16, are mentioned online. Speaking on Australia's 2DayFM radio station, she said: "I do have Google alerts. Sometimes that's how I keep track of these kids, because they're everywhere. And if I don't have my little Google alert every morning, how am I going to keep up with these Kardashians?" The brunette beauty insists she even heard about Kanye West's alleged assault on a teenager - which took place earlier this week - through the use of social media. She explained: "I got wind of this last night because I had been out of town. And I've literally been doing some press all day today and have not been home. So I haven't talked to anybody to give you a better update." The 'Bound 2' rapper has been accused of punching an 18-year-old man after he fired racial abuse at his fiancée Kim outside a chiropractor's office. The 'Stronger' star - who has seven-month-old daughter North with Kim - is now a suspect in a battery investigation and wanted for interview.